Pearl Jam’s career spans nearly twenty-five years since the release of their critically acclaimed debut Ten in 1991. Ninth album Lightning Bolt matches shades of Ten’s raw angst with a maturity that exposes Eddie Vedder’s longstanding lyrical concerns. The title track has a heart-tugging emotiveness to it. McCready and Gossard’s obvious compositional chemistry puts the guitar playing is a cut above many rock bands. A simple one-line chorus leads to a stirring bridge where Vedder waxes coastal imagery. “Crashing stormy waves, he rode her shoreline every day,” he sings, then builds to a growl, which harbours a maturity complete unlike the tumbling “Once” that introduced us to the band in 1991. Whereas that laid bare a man’s descent into madness, this is simply about a girl. “Father’s Son” revisits the theme of sanity. “Yeah, too bad he was a psychopath, now I’m the next in line,” sings Vedder of his pa. “Now you’re dead and gone and I’m finally free to be me.” It offers a window into the Chicago-born singer’s early life – Vedder was raised in the belief that his stepfather was his biological father, until his mother revealed to him in his teens that his real father was in fact dead. This he alluded to in Ten’s hit single “Alive”, where the song’s protagonist finds himself in the same situation, dealing with his mother’s and his own grief in less than savory ways. “Pendulum” sees a subtle groove glide mellifluously into a reverbed guitar break. “Easy left me a long time ago” sings Vedder as the song moves to a watery stillness punctuated by group “aahs”. American rock ballad “Sirens” plods along inoffensively, its piano-led verses giving it a rounded texture. Closer “Future Days” is beautiful, with its modest acoustic guitar strums backed by a delicate violin that shimmers as Vedder’s voice wanders through. 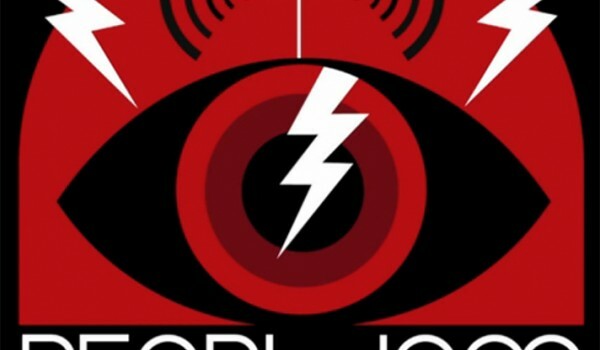 Lightning Bolt will not be heralded as the most innovative of records. It isn’t. Vedder though, much like Layne Staley or Michael Stipe, for instance, injects such passion into these tracks that it makes for an in-depth listen. Stipe’s voice has worn noticeably over time, but Vedder still sounds fresh. His voice soars into a growl on the faster tracks and his lyrics still sound genuine, when many bands run out of authentic steam after such a long career. On first listen, some may dismiss Lightning Bolt as another standard rock release, but dig a little deeper and it’s a documentation of the concerns of an entrancing songwriter and a highly accomplished band. 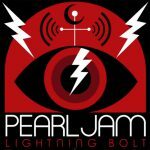 Pearl Jam expected to debut at number one !